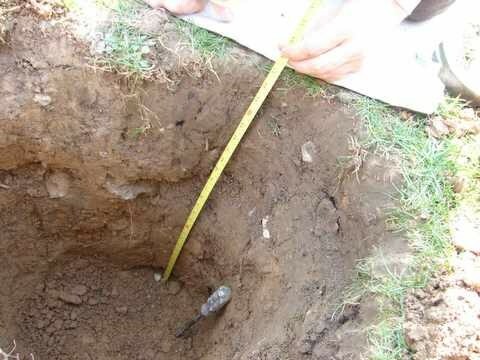 The buried hoard test : I wanted to know how deep a discriminating metal detector could detect a small hoard, so was told to go and get some machines, a big spade and some coins. These days we hear so many stories about new models going deeper than ever before, we read about people finding coins and artefacts over 2 feet in depth. 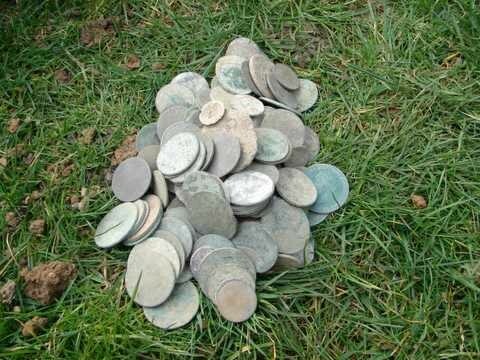 I have always been interested in finding a small hoard at 2 feet is it scientifically impossible using the metal detectors we are all searching with today, I have been told coins with a patina are electronically isolated from one another so in the ground a detector will not see the coins as a mass, more like several individual targets. We are not interested in testing a machine with no discrimination circuit as you would not search in all metal on a junky ancient site. Also this test is to simulate coins buried in a non metallic container which has almost certainly been destroyed, eg: leather pouch, clay pot, wicker basket wooden box. Both underneath undisturbed soil or as close as we could simulate. 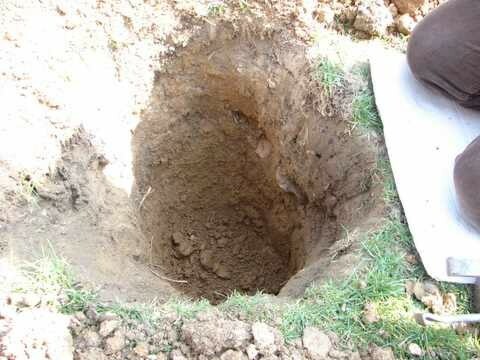 One at 64 cm deep marked “B” the other at 10″ deep marked “A” . This was to ensure the targets were placed underneath mostly undisturbed soil. 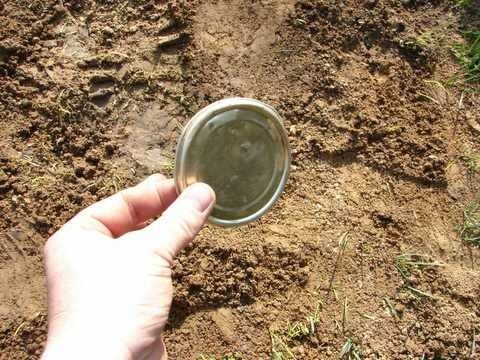 Our earlier tests had proved that the Halo effect of buried coins etc played no real part in detection depth in fact the halo effect only applies to Iron. To prove this fact next time you dig an ancient coin try to detect the soil in which it came out, if the halo effect was true the soil would give off a signal to. 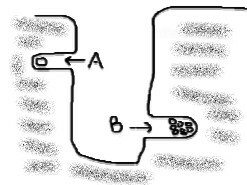 The silver sixpence was placed in pod “A” the 1kg coin hoard was in pod “B“(see diagram). It is surprising how hard it was to dig this deep…. 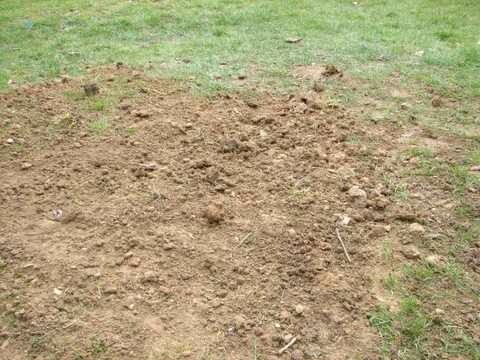 Loose earth in a freshly dug hole is not a fair test for a machines depth capabilities, all machines tested would indeed pick the hole up as part of the target giving a false depth impression. Then we dug the hole out and placed the aluminium piece in the side pod “B” and filled the hole again, now we could test it under undisturbed soil. Most machines could detect the Aluminium target beneath the undisturbed soil. * Note there is still quite a lot of small nails and small iron surrounding the hoard to simulate real detecting conditions. 1KG of mixed copper and silver coins some with the original soil still stuck to them, the coins were placed in pocket “B” and the hole was filled in. You would have expected the Nexus to pass this test with flying colours but it failed with all the other machines. So beware of sellers claiming their machine is the deepest hand held detector in the world or words to that effect, there are to many different scenarios to take into account …it is probably just a get rich quick scam. The test is now in place for ever, it will be interesting to test new machines in the future. Next time someone says they dug a hammered coin at nearly 2 feet simply give them a tape measure and a link to this page. B: Higher in conductivity than the targets used. Most Pulse machines and pipe locators up to date have no discrimination (so not a fair test) I will post results if and when I get one that discriminates iron. This myth is Busted…or is it ! 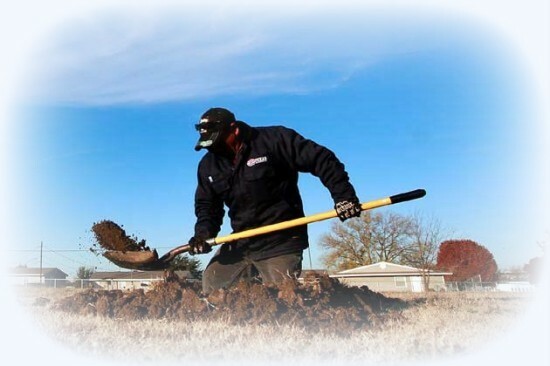 Can machines that don’t air test well, go deeper in the soil ? No absolute Crap !! this is scientifically impossible if a machine air tests badly it will detect badly in the soil despite what you read on metal detecting forums and some manufacturers literature. However some machines that air test better can loose a higher percentage of depth in the soil around 30% depending on what type of search coil is used. If you suspect these results are wrong, please go out there and do the buried coins test for yourself. *Note : This test was carried out in 2002, now several years later the buried hoard has started to give a diggable signal on some top end machines. This poses another question : Have machines got better or has the targets started to show signs of the halo effect ? 3 Responses to "How deep will a metal detector go"
Will share this post on facebook when I get home. On my iPhone at the moment. Great post. Continue the nice work ethic.